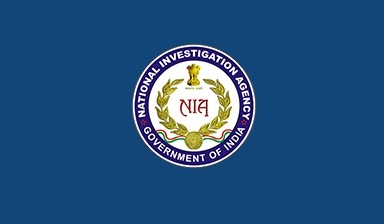 New Delhi/Bhopal: National Investigation Agency (NIA), the federal agency established by Government of India to combat terror in India has transferred the case relating to the murder of RSS Pracharak Sunil Joshi at Dewas in Madhya Pradesh to the state Police stating no terror link was found in this case. On 29 December 2007 at about 20.30 hrs, Sunil Joshi @ Guruji @ Manoj s/o Shamlal Joshi resident of Dewas, M.P. was shot dead by some unknown persons while he was coming on foot from his house at Awasnagar, Dewas to his Ashram at Chuna Khadan. A case (F.I.R. No.661/2007 Under Section 302 I.P.C.) was registered in Police Station, Industrial area Dewas, District Indore in Madhya Pradesh. MP Police had filed charge sheet before the JMF Court in Dewas against 5 accused persons under Section 302, 120(B), 34, 201 of IPC and Sce. 25 & 27 of Arms Act. On 1 April 2011, following a Union Ministry of Home Affairs order (No. I-11034/18/2011-IS-IV) NIA took over the investigation of the Sunil Joshi murder case. A.T.S Rajasthan had filed a charge sheet against three accused persons on 20 October 2010 before the Court of Chief Judicial Magistrate Ajmer. NIA filed the first supplementary charge sheet on 28 April 2011 against two accused persons, second supplementary charge sheet wasfiled on 18 July 2011 against 8 accused persons, and third Supplementary charge sheet on 29 October 2013 against 2 persons. The NIA Special Court Jaipur has also framed the charges in this case. In February 2014, an NIA Court in Bhopal had pulled up NIA for failure to file the challan in the RSS Pracharak Sunil Joshi murder case. NIA had told the court that the Challan was not being filed as investigations were on in this case. Joshi was an accused in a local Congress leader’s murder case and was said to be among those behind the Ajmer Dargah blast. He was shot dead in Dewas on December 29, 2007. The NIA took over the probe after the state police had filed a charge sheet in Dewas court. In February 2011, Malegaon bomb blast accused Pragya Singh Thakur, who arrested by the Madhya Pradesh Police in Mumbai, was being tried for her alleged role as the “main conspirator” involved in the Joshi murder case. After interrogating Sadhvi Pragya and the other accused arrested in the Sunil Joshi murder case, the Madhya Pradesh Police had arrested in this case Ramchandra Khati, a ruling Bharaiya Janata Party corporator representing municipal ward number 44 of Dewas. His arrest came after a niece of Sunil Joshi had made the disclosure that Sadhvi Pragya had visited Sunil Joshi’s house and taken away a briefcase after the murder. Till later part of 2010, the Dewas Police and the Madhya Pradesh anti-terrorist squad (ATS) had no clue about the culprits involved in this murder. The State police claimed in November 2010 that it had cracked this case after securing through court the custody of the main accused Harshad Solanki, who was earlier arrested by Rajasthan ATS. Harshad. who has admitted during his interrogation that he had gunned down Joshi, was sent to judicial remand.Two of his accomplices Anand Raj Katare, a resident of Indore, and Vasudev Parmar, a local Dewas resident, were also arrested on charges of conspiracy and for helping the culprits escape. Two other culprits, who were earlier staying in Dewas with the fictitious names of Mehul and Mohan, are absconding. The Investigating officer and Dewas Police station SHO, Vinod Singh Kushwaha had said in November 2010 that the police was in hot pursuit of the two accused still at large. Their identity had been established, he said adding both belong to Vadodra. Mehul’s real name was Mahesh Masat and Mohan’s real name is Rinku alias Ramesh. Harshad Solanki, Mahesh and Rinku were also among the accused in the Best Bakery and Ajmer blast cases. The State police officers investigating this case had disclosed that Sunil Joshi was living near Dewas by-pass road with a fake identity. Three of his close associates were also maintaining bogus identities. Because of their fictitious credentials, the Police was finding it difficult to close in on these accused. Lt Colonel Purohit, arrested earlier in the Malegaon blast case, had reportedly told the Maharashtra ATS that Sunil Joshi was also among those behind the 2008 Malegaon blast. The Maharashtra ATS had zoomed in on Indore in November 2009 while tracking the accused linked with the 2008 Malegaon blast. The Rajasthan ATS, investigating the Ajmer Dargah blast, also picked for interrogation one person, said to be a small time industrialist from Mhow near Indore. The Rajasthan ATS had almost concluded that there is a link between the Ajmer Dargah blast in October 2007 and the September 2008 Malegaon blast. The Maharashtra ATS was also investigating the link between the Malegaon blast and the earlier Makka Masjid blast in Hyderabad.